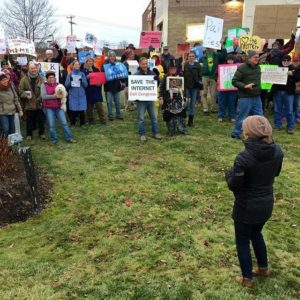 As the FCC continues to move ahead with plans to gut network neutrality, many American’s are taking their protest onto the streets. 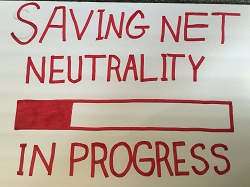 The battle to save the Internet has become rather tense in the last few days. 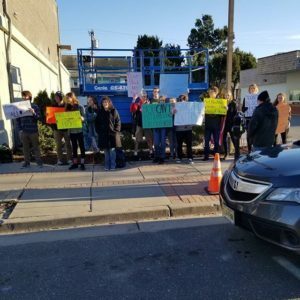 American’s and American small businesses alike are pushing back against the Federal Communications Commission (FCC) planned vote to scrap network neutrality. 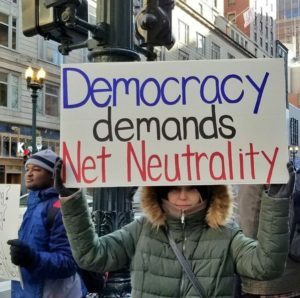 While senators and high profile people have called on a delay to the FCCs vote, FCC chairman Ajit Pai rejected those calls and said that American’s are merely growing “desperate” in their efforts to save the Internet. The new chairman of the FCC was a top lawyer at Verizon. And now he’s calling for a vote to kill net neutrality, as a gift to his former employer. 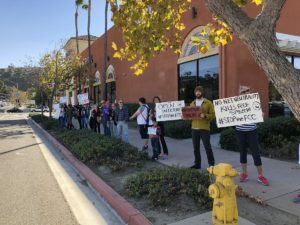 So on December 7th we’re protesting outside Verizon retail stores across the U.S. to demand that Congress stop the FCC from destroying the Internet as we know it. 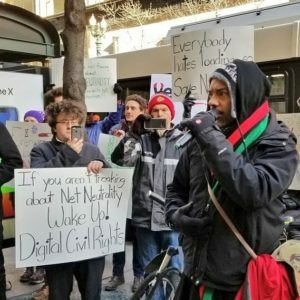 Battle for the Net has set up a website called Verizon protests. The site features an interactive map showing the different locations across the United States in which the protests are set to take place.